Addis Ababa, April 17, 2016. 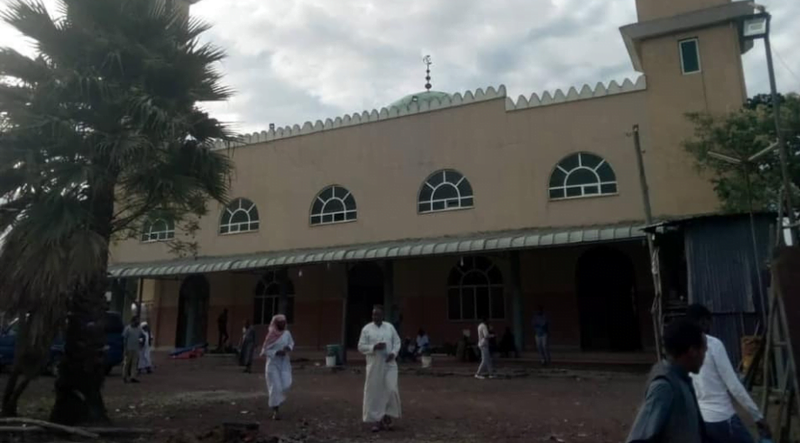 – The Ethiopian Supreme Council for Islamic Affairs Addis Ababa condemned the attacks on the security forces at Abdulqadir Mosque and worshipers in the mosque located in Akhija Kifle Ketemu, Wereda 08, in the southern suburbs of Addis Ababa. At least nine people, including women and children, who were in the mosque, were injured and hospitalized when security forces entered the Abdulqadirov mosque yesterday, claims journalist Akmel Negash. Security forces were there to crush what they said were "illegal construction". However, in a statement released yesterday late in the afternoon, Adis Abeb's Office of Public Administration fired and said the action was taken "without the knowledge of the administration". Sheikh Abdulaziz Wegu, President of the Supreme Council of the Ethiopian Supreme Council for Islamic Affairs Addis Ababa, told the Ethiopian Press Agency state media that the Abdulqadir mosque has been providing services for more than 20 years. But three years ago he applied for additional land to expand his services, which has not yet been asked by the competent authorities. Part of the reason for the request of Akaki Kifle Ketema, requires the office of Wereda 08 that the land that the mosque has already requested for its expansion, cares for an increasing number of believers in the area. This was decided by the city administration. However, security forces entered into what they accused of illegally building a land extension. Sheik Abdulaziz dismissed the charges and said the mosque did not build anything illegal because it was a matter in the hands of the city administration. The city administration's statement also announced that the city administration did not issue any orders to Akaki Kifle Ketem, Werda 08, which related to the mosque and promised to take "corrective measures".